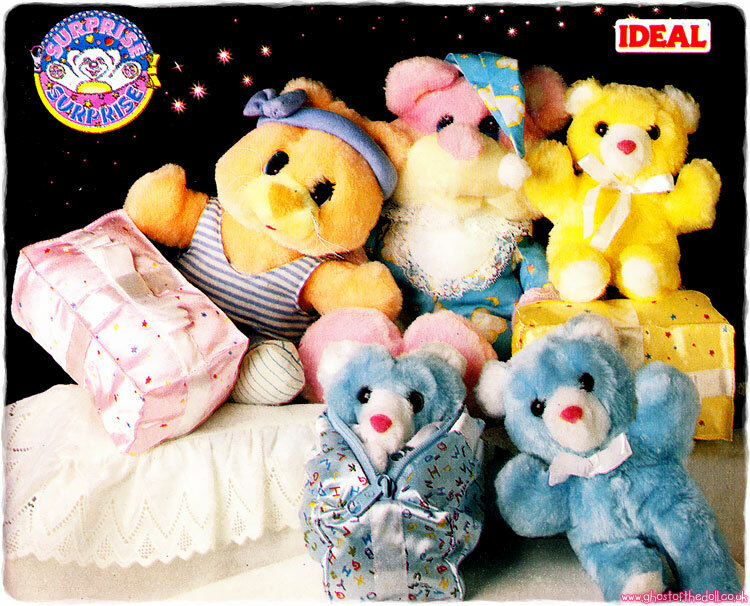 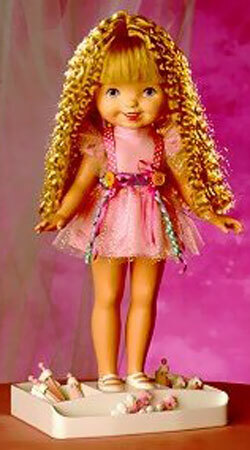 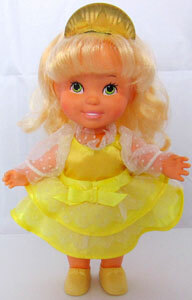 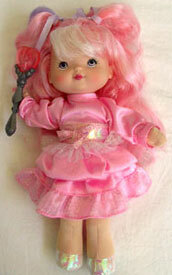 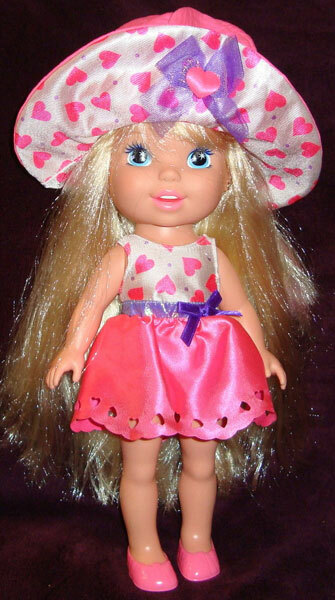 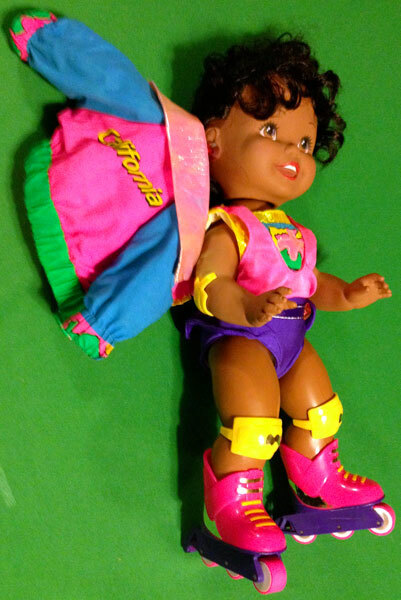 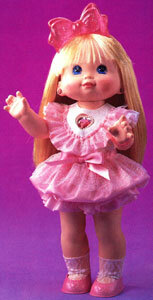 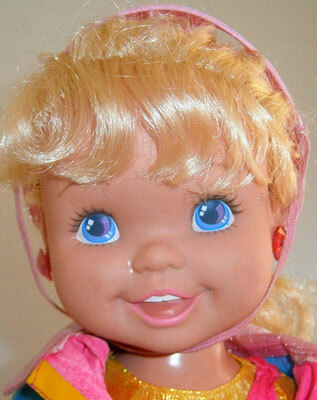 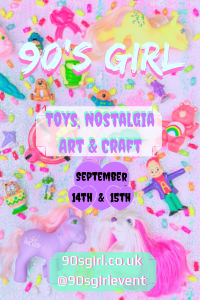 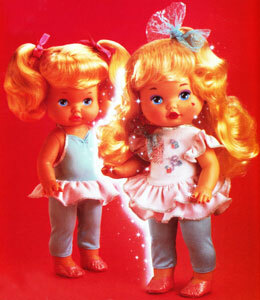 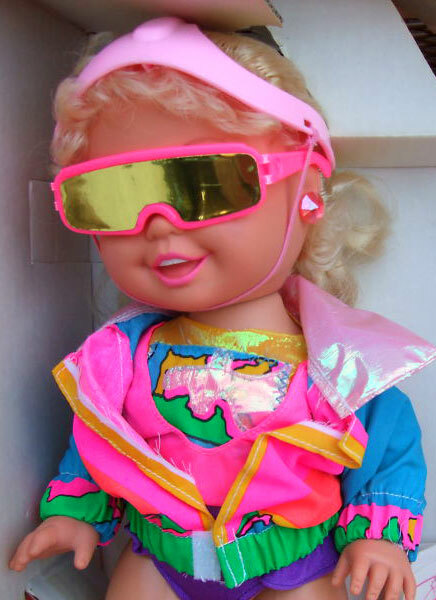 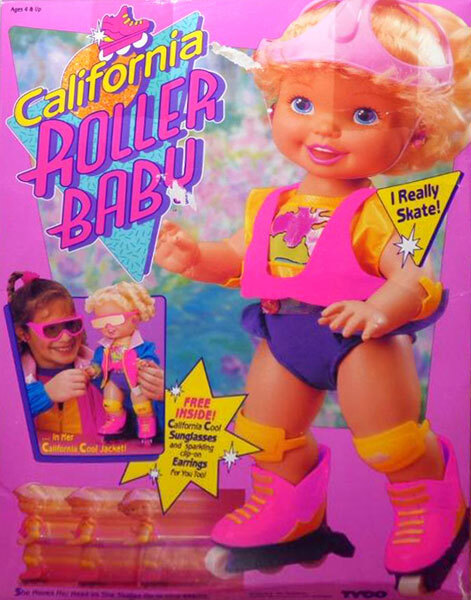 California Roller Baby was produced by Tyco in 1991 and was a 15 inch doll with battery powered skating action. 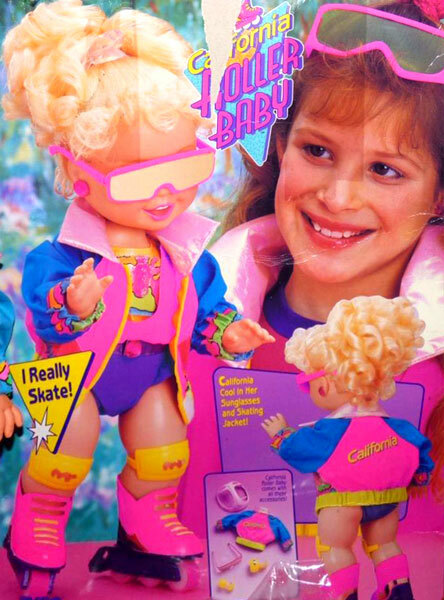 Her head moved from side to side as she skated. 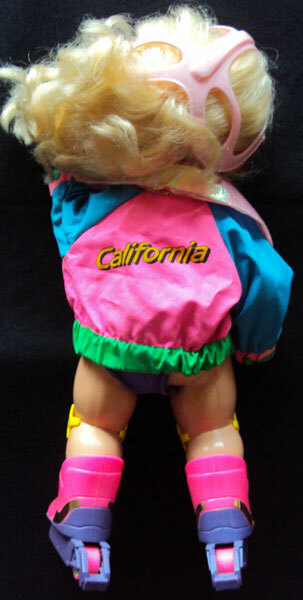 View all California Roller Baby on eBay.com or eBay.co.uk ! 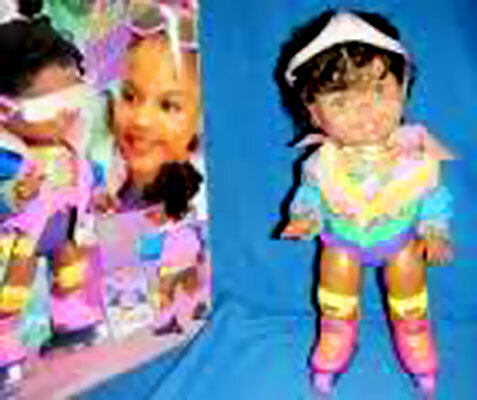 California Roller Baby came with a removable leotard and jacket, helmet, knee and elbow protectors,sunglasses, comb and stud earrings. 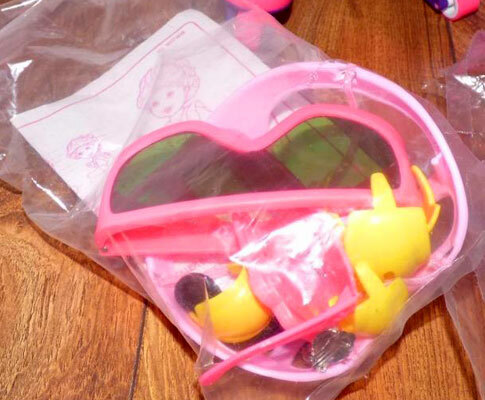 The box also contained matching child-sized sunglasses and clip-on earrings. 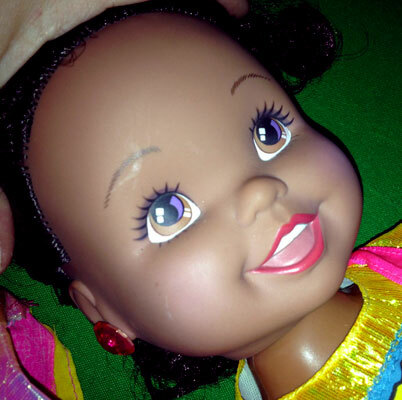 The doll was produced in both black and white, the black doll being harder to find. 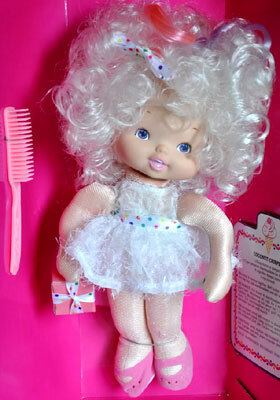 All accessories were identical, but the packaging differed (yet to find). 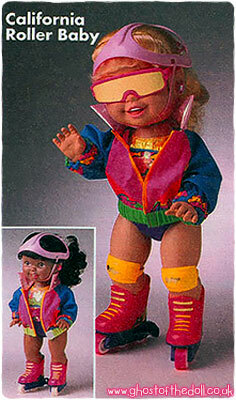 This image is from Sears Christmas catalogue 1992, where she cost $29.99. 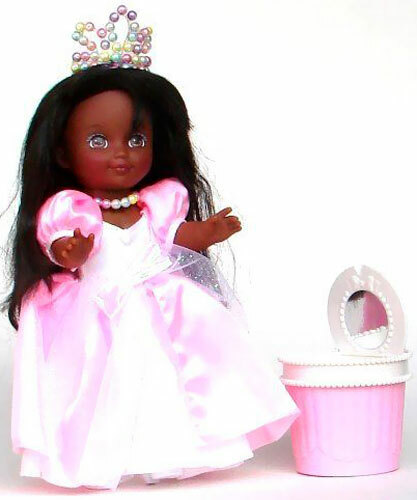 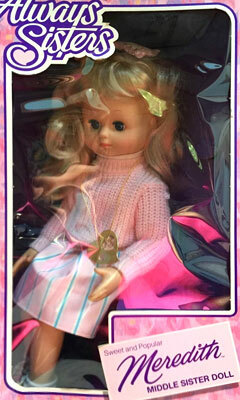 Unfortunately this is the only image I have come across of the black doll's packaging.